ARM Architecture has been appointed designers of the new $45 million Geelong Library. The new building is located on the site of the existing Geelong Library and Heritage Centre, replacing the existing structure with an expanded, state of the art facility with cafe, meeting spaces, amenities and exhibition spaces all connected to the Geelong Art Gallery. 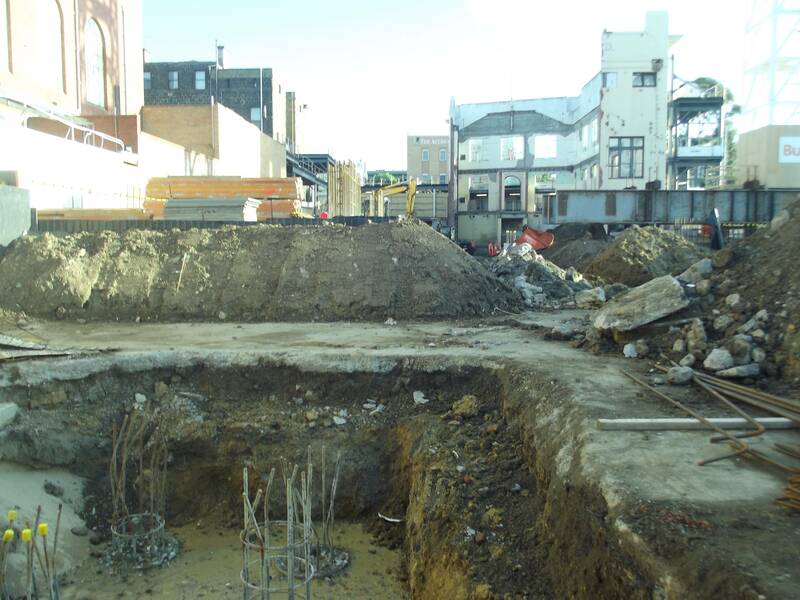 The project is funded by the City of Greater Geelong ($20m), State Government ($1=5m) and Federal Government ($10m). During the concept design phase we explored the idea of blending the building and the park through various forms. The final design of The Dome (which was conceived as an erosion of spherical forms) not only extends the building into the park but is also reminiscent of great library reading rooms such as the State Library of Victoria and Boullee’s concept for a monument to Newton. Kane Constructions is preferred contractor to design and construct a new 10-level student accommodation building in Geelong, Victoria. 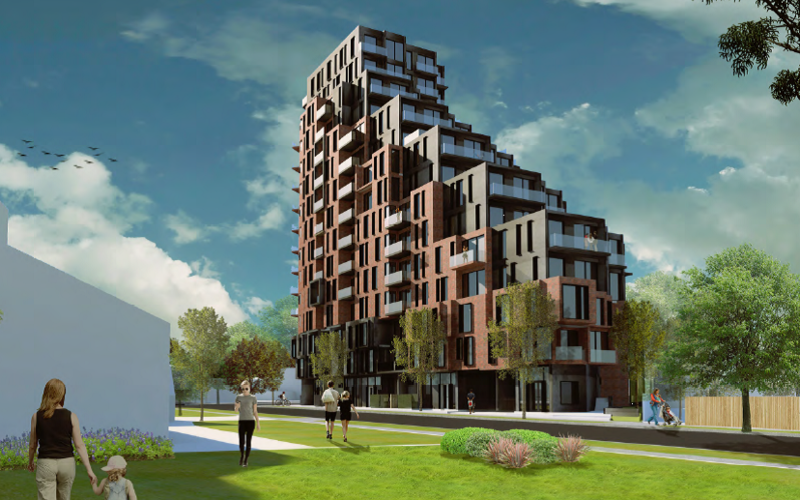 Located in Brougham Place, the development will comprise 222 units, a ground level cafe and rooftop outdoor spaces. Design development is progressing well with works to commence on site imminently. 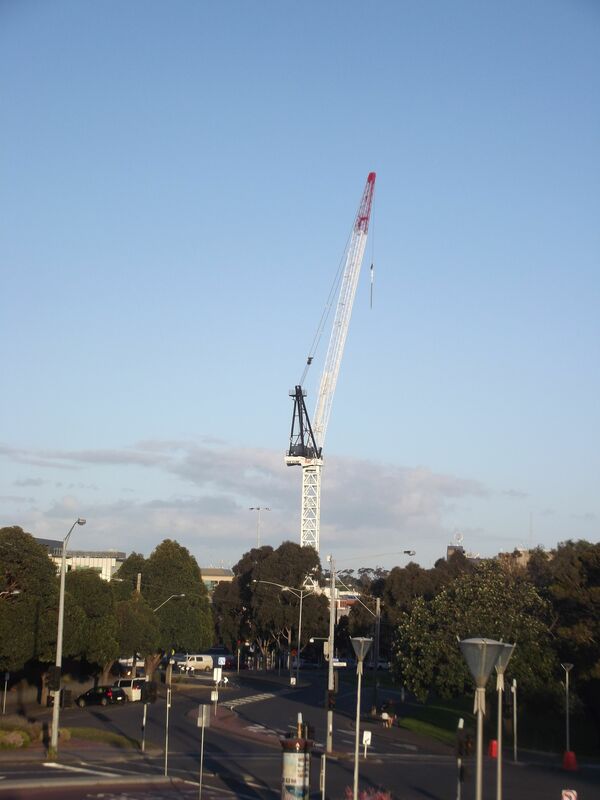 When completed, Brougham place will join 8 Gheringhap Street as the tallest residential building in Geelong. Victorian Premier Denis Napthine will announce new private ­sector initiatives and foreshadow ­additional government projects for Geelong on Tuesday. The projects could soak-up some large vacant industrial and commercial sites, which have increased near fourfold in the past 12 months. Premier Napthine is expected to visit the state’s second largest – and politically pivotal – city to announce a package of measures to help revive industry and jobs, and that a leading private sector company is expected to move its headquarters to Geelong. Andrew Lewis, managing director of Colliers International, said the sharp increase in the number of large, vacant industry sites is the black spot in ­Geelong real estate. “Vendors are not adjusting by reducing price. There are no buyers in the market place for large sites,” said Mr Lewis, who warned of a vacuum as government, sellers and agents looked for new tenants. “We have to find larger industrial users,” Mr Lewis said. Major businesses to recently cut staff, or announce a relocation, include Alcoa, Ford, Target and Barwon Water. The fear is hundreds of affiliated businesses and tradespeople could also lose their jobs, or face cutbacks, in the fallout, which will hurt a local residential property market that is, so far, ­proving resilient. Mr Lewis said Geelong commercial and industrial property has been a “tale of two cities”. Smaller industrial sites remain buoyant, but the number of larger available sites, of between 10,000 square metres and 50,000 square metres, had risen from five to 10 to about 20. Sales of industrial spaces, of between 200 square metres and 1000 square metres, which are typically used by small businesses or tradies, have more than doubled, he said. Their price is also holding up, with spaces of less than 2500 square metres selling for between $140 to $160 a square metre, which compares with about $180 a square metre to $200 a square metre in the western suburbs of Melbourne. Bernadette Uzelac, executive officer of Geelong’s Chamber of Commerce, slapped down claims that the demise of Geelong’s auto industry would precipitate a knock-on across the region’s industrial sector. “It just won’t happen,” she said. “For many years Geelong has been repositioning itself to new industries [such as advanced manufacturing]”. David Cortous, a director of Ray White Real Estate in Geelong, said industrial and commercial sites servicing the car industry had been gradually switching to other sectors because of the long lead-times for closure. One of the projects Darryn Lyons is really lobbying for. Recommend following him and the Geelong Mayor account on twitter. Listed agribusiness group Ridley ­Corporation has partnered with private developer Sanctuary Living on a proposed $4 billion marina development in Geelong to replace the Cheetham salt flats along Stingaree Bay. The proposed 20-year Nelson Cove development at Moolap would cover a massive 500 hectares of coastal land east of the Geelong central business district, south-east of Melbourne, stretching from the CSIRO Research centre all the way to Point Henry. It would comprise three precincts: a commercial precinct, twice the size of Geelong CBD with a technology-focused business park, university, marina, ferry terminal and hotels; a residential precinct with up to 5000 homes, and an entertainment precinct with another marina plus hotels, shops and cafes, convention centre, a Guggenheim-inspired museum and a golf course. About 700 homes will face the water and have their own private boat ­moorings. There is also a proposal to develop a light rail to link up Nelson Cove with the Geelong CBD and Geelong train station in partnership with the city and the state government. Ridley Corporation, which makes ­animal nutrition products, owns half of the Moolap site under freehold, with the remainder owned under a leasehold agreement with the Victorian government, which has 30 years to run. Techne Development has won planning approval for a $120 million office building on a landmark site in Geelong, the second largest city in Victoria. The project will redevelop the prominent Carlton Hotel on Malop Street, in the Geelong CBD, into 18,000 square metres of commercial space. Heritage elements of the historic hotel will be retained in the nine-level redevelopment. A planning permit was issued just five weeks after Techne lodged its application. A redevelopment wave is making its way through the Geelong CBD as the municipality embraces a number of major government tenants. The new national headquarters of the National Disability Insurance Agency will be be established in Geelong while WorkCover is also moving to the city. “The Carlton will be a significant urban symbol of the ongoing transformation of the Geelong economy, employment profile and CBD,” said Michael Vickers-Willis, managing director of Techne Development. Designed by architects Woods Bagot, the Techne project will be competing with other landlords and developers to house the NDIA and WorkCover tenancies. Mr Vickers-Willis said Geelong was now emerging as a national centre for insurance and rehabilitation and support services. Construction at The Carlton project could begin by mid-2015, ready for occupancy in late 2016. Geelong's council has approved permits for two large commercial office buildings within the space of a few weeks. The two rival buildings will add a combined 28,500 square metres of office space to Geelong's central business area if completed over the next few years. 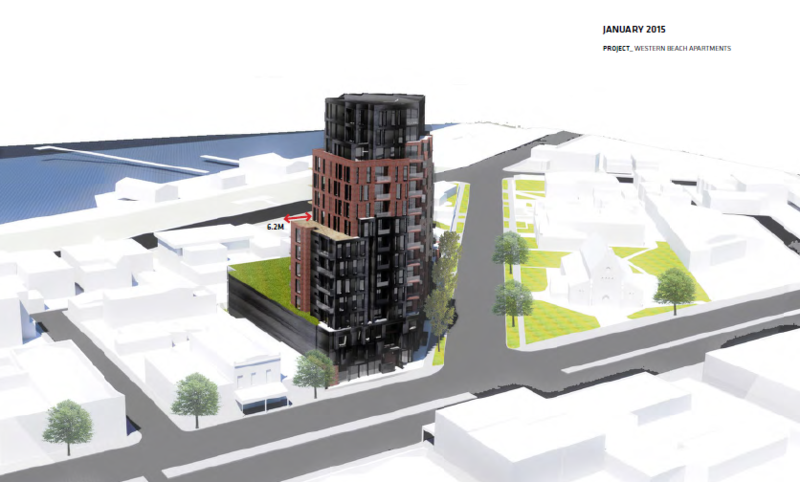 Geelong businessman Michael King is proposing an 11-storey building in Myers Street on a 1950 sqm block. The building, targeted at government and corporate tenants, will have 10,500 sqm office space and four levels of underground parking. 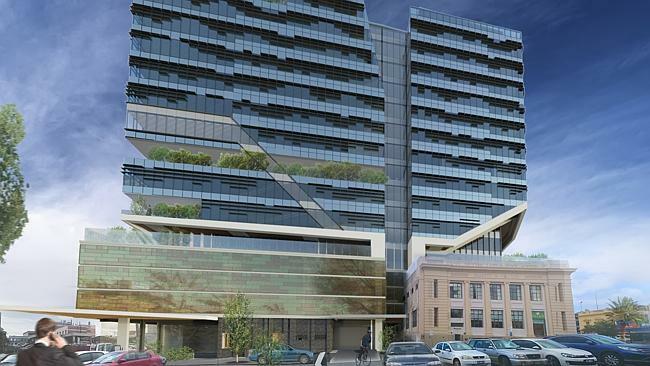 Another Geelong-based developer, Techne Development, is planning a nine-level commercial office with 18,000 sqm of space in Malop Street on the site of the Carlton Hotel. The Woods Bagot-designed building will retail heritage features of the hotel. Both developments are hoping to capitalise on Geelong becoming the headquarters of the National Disability Insurance Agency (NDIA) and the relocation of WorkCover. WorkCover has released office requirements for the 680 workers it intends to relocate to Geelong in early 2018 from premium space at 222 Exhibition Street. The two-stage tender will mean at least one A-grade building is constructed in the city's centre. It has prompted plans for at least three commercial offices vying to house the state employees. Melbourne-based fund manager ­Quintessential Equity has drafted colourful Geelong mayor Darryn Lyons to launch its leasing bid for a 15,000-square-metre space it hopes to build at 1 Malop Street. Quintessential's $90 million office, which will merge with the historic Dalgety & Co building, will rise 12 levels and include on-site childcare, end-of-trip facilities, a gym and a rooftop terrace. Rival Techne Development plans to build a nine-level, 18,000-square-metre office in Malop Street on the site of the Carlton Hotel. At the same time, businessman Michael King is pushing for an 11-storey building in Myers Street on a 1950-square-metre block. The Geelong community is set to benefit from the spectacular new $45.5 million Geelong Library and Heritage Centre, on track to be open by the end of 2015. Minister for Local Government Natalie Hutchins today visited the site to view progress of the new nine-level, 5 star environmentally sustainable library. The Geelong Library and Heritage Centre replaces the former 50-year library, housing up to 100,000 library collection items, and feature cutting edge technology and spaces to encourage interactive learning. The new space for Geelong residents will offer over 40 PCs, a video wall, five games machines, a 100 inch games screen, touch screen devices, a 3D printer, café and dedicated spaces for children and young people. Melbourne-based fund manager ­Quintessential Equity will develop the new $120 million headquarters for WorkSafe in Geelong, as the state government drives investment in Victoria's second largest city. 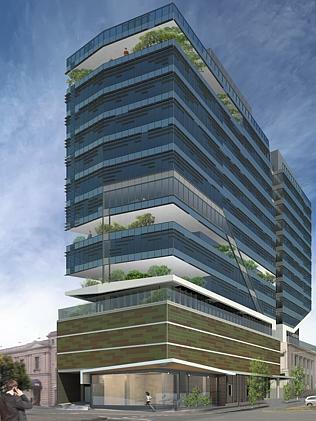 Construction on the new 14-level commercial office tower will get under way within months. The job will be done by construction firm Built. 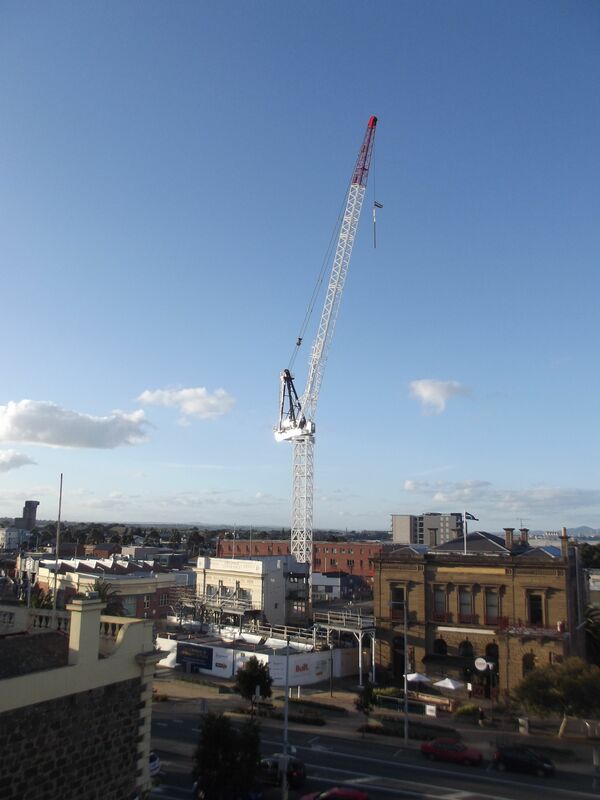 With 15,000 square metres of A-grade office space, the tower at 1 Malop Street will be the tallest in the Geelong CBD. Designed by architects peckvonhartel, the project will incorporate the historic Dalgety & Co. building into a new development. Quintessential Equity Director, Shane Quinn, said the development would be an "office building of the future" that met all WorkSafe's core business needs. Minister for Environment, Climate Change and Water Lisa Neville today announced significant improvements for the Geelong foreshore through public works as part of the $80 million Balmoral Quay development. The public works will feature the renourishment of Rippleside and St Helen’s Beaches, drainage works, remediation works to the existing historic pier and the construction of a 600 metre promenade connecting the two beaches. The Andrews Labor Government will provide $500,000 towards the cost of renourishing Rippleside Beach, with developer Balmoral Quay Pty Ltd (BQ) also making a major contribution to upgrading the foreshore area. How much demand is there for apartments in Geelong? I can see it increasing with the opening of new govt agency HQ's but it is interesting to see the changes starting to take shape in Geelong. Minister for Planning Richard Wynne has approved an $80 million multi-storey tower in central Geelong, which will deliver new office space and boost jobs in the city. The 11 storey development at 22-28 Brougham Street will include 13,100 square metres of office space, 116 car parks and 100 bicycle spaces. It has been designed to accommodate 850 employees and will benefit from its CBD location near the Geelong station. The development was the first approved after the Andrews Labor Government made the Planning Minister responsible for major projects greater than 5000 square metres or five storeys high last year. The Labor Government elevated planning approval to the Minister and also created the Geelong Authority to streamline development and encourage investment for the area by bringing together local residents, service providers and business owners. The Office of the Victorian Government Architect reviewed the Brougham Street proposal, indicating it would set an encouraging precedent for renewal in central Geelong through its use of the existing wool store. These are just a few photos I took the other day of progress on 1 Malop street. The crane really is a feature on the skyline already, I forgot how soon it was to be erected and when I came back from an overseas trip it was quite a surprise! Here's 44 Ryrie Street - what's happening with this one?